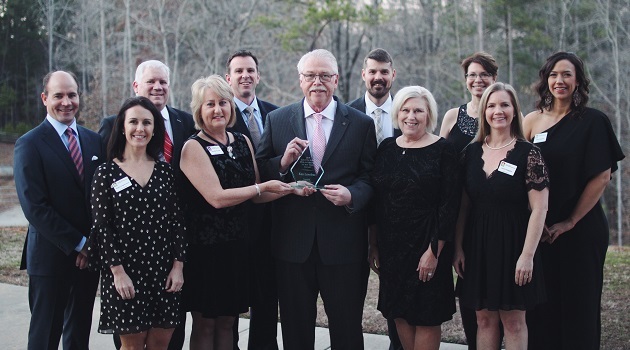 Several Lexington-Richland School District Five students were honored for their philanthropy by The Greater Chapin Community Endowment (GCCE) during their annual Groundhog Valentine’s Ball. 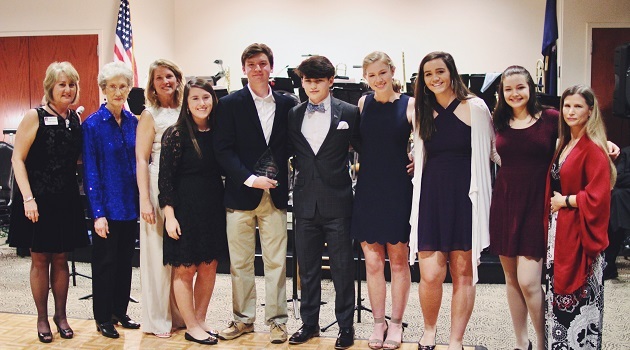 The Bud Lewandowski Youth Philanthropist of the Year Award was presented to Chapin High School Academic Leadership Academy (ALA) for their overwhelming hours of service and situational leadership in the community. Several representatives from the student group and ALA Program Director, Lisa Maylath, accepted the award from Pat Lewandowski, in memory of her husband, and GCCE Board Chair, Jennifer Perritt. The ALA class was selected for the honor after the class logged over 3,500 hours of combined community service. Maylath said the students’ outreach to the community is part of these students’ core values. Also presented an award at the Groundhog Ball was School District Five School Board Member Ken Loveless. He was selected as the first recipient of the Louetta Slice Philanthropist of the Year award. The awards were presented February 2 at Chapin town Hall during the Ball. Louetta Slice and Bud Lewindowski, both of whom passed away several years ago, founded the Greater Chapin Community Endowment in 2002. The Endowment which is part of the Central Carolina Foundation provides grants to non-profit organizations in the Newberry, Prosperity, Little Mountain, Chapin and Ballentine corridor. Since its inception in 2003, the GCCE has provided $125,000 in grants to 33 local nonprofit organizations.